Bikini Me is a supplement designed to provide weight loss, deliver a flatter tummy, and provide a number of other benefits. It’s one of a number of health and wellness supplements developed by the Czech fashion model and nutritionist, Gabriela Peacock, and distributed under the GP Nutrition brand name. Customers who buy Bikini Me have two options. They can opt to purchase a 3-Day Bikini Countdown Kit or 7-Day Bikini Countdown Kit. Each box contains a supply of appetite suppressing gel, diet pills, and a drink mix that provides vitamins, minerals, and plant extracts. All of them are vegan-friendly and free from dairy, gluten and soya. Bikini Me contains a lot of ingredients and we are not surprised to see a Vitamin B complex because B Vitamins help the body extract energy from food. Their presence in a formulation such as this can invigorate the body and help prevent diet-related fatigue. Vitamin C is an antioxidant that helps purge the body of toxins. It also promotes a stronger immune system and encourages fast healing. Chromium is added to most weight loss supplements because it regulates blood insulin and blood glucose sufficiently to prevent the post-meal blood sugar crashes that can trigger urges for high-calorie food. Iodine is a less popular weight loss ingredient than chromium, but it does have value. The thyroid needs iodine to manufacture thyroxine and other “T” hormones that are necessary for a healthy metabolism. When people do not get enough Iodine from their food it can slow down the metabolism, causing weight gain. If the lack of iodine continues it will impede any efforts that are being made to lose weight. So, although iodine is not an ingredient that will be beneficial to everyone, its presence here may make it easier for some people to lose weight. Green tea is a research-backed metabolism booster and thermogenic fat burner, but the amount provided is likely to be too low to furnish good results. However, green tea is also loaded with antioxidants that help rid the body of toxins and, for this reason, it’s sometimes added to detox formulations. Artichoke and prune extracts are also believed to have value in this regard, as are, figs and Broccoli. 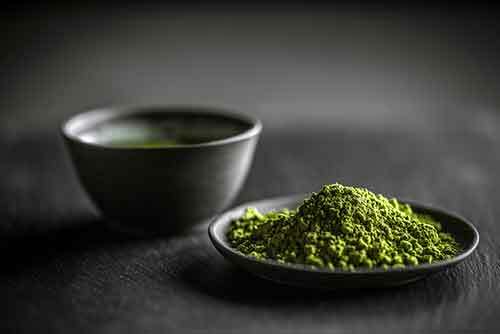 Although the dose of green tea is probably too low to deliver good fat burning results on its own, the formulation also contains a number of other good fat burning ingredients, most notably green coffee bean and capsicum, so it should still have the potential to help with fat burning. Most of the appetite suppression will be provided by glucomannan. Each sachet of Slim Me Gel contains a 1000mg and three sachets are provided for each day. 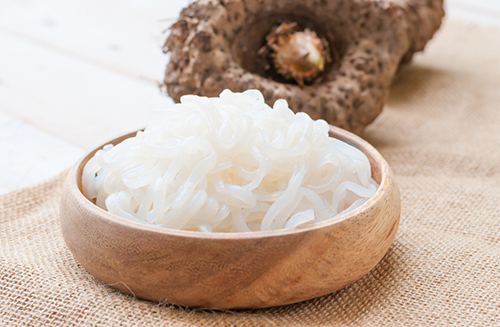 Glucomannan fibers swell in the stomach when they come into contact with water. This creates a feeling of satiety. 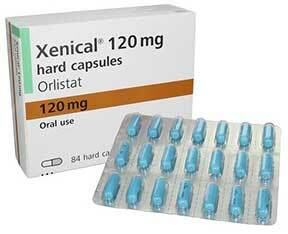 It’s a top appetite suppressing ingredient and research shows the amount provided here (3×1000mg) is an effective dose. People who purchase the three-day pack need to take the Slim Me capsules and Gel for the first two days and then consume the Clean Me capsules and Drink on Day three. Both kinds of capsule need to be washed down with a glass of water. The Slim Me Gel and Clean Me drink mix need to be mixed with a glass of water instead. The Slim Me Gel has to be taken three times per day, 20 minutes before meals. To make things nice and easy, the pills, gel, and drink mix are provided in individual sachets that contain the correct dose. People who buy the seven-day option proceed in a similar way but have to take Slim Me for six days instead of two and then switch to Clean Me for day seven. Other than a few testimonials on the GP Nutrition website, there does not appear to be many reviews for this product. All the on-site testimonials provided by the company are very good, but they are likely to be hand-picked and may not paint an accurate picture of how the product performs. The site also provides a “Hype” page that shows off all the celebrity endorsements GP Nutrition has received from supermodels, actresses and other celebrities, but people like Jodie Kidd and Donna Air have never really struggled with their weight and have a reputation for always looking good. They also have more money at their disposal than the average diet pill buyer and are unlikely to have to think twice about using products that cost over £80 per month to use. Side effects are unlikely, but Bikini Me is not intended for women who are pregnant or breastfeeding an infant. Nor is it suitable for children under 12-years of age. People who are under a doctor’s care for an existing medical condition, or would need to use Bikini Me alongside medication, are advised to discuss the matter with a doctor prior to commencing use of the product. It’s possible to buy Bikini Me from Harrods and Selfridges. The product is also sold via selected hotels, gyms and fitness spas, but unless these are the places you would normally hang out, it’s probably best to purchase the product via the GP Nutrition website. The three-day supply costs around £10 and the seven-day supply costs just under £20, so this is not a cheap product to use. There are occasional promotions that allow customers to buy three packs for the price of two, and customers who opt-in to the autoship program can secure a 15% discount, but there are still additional postal charges to pay. People considering purchasing Bikini Me via autoship also need to take note of the small print and be aware they are agreeing to keep receiving regulars shipments for at least three months. A 30-day money back guarantee is promised to people who buy the product directly from GP Nutrition, but a close examination of the terms and conditions page on the official website suggests it may actually only be a returns policy for unused product. Bikini Me is an attractively packaged product produced by a good looking lady. Using it could be seen as a glamorous way to lose weight, but it’s not worth the money and we don’t see the point in distributing it in pack sizes that only provide support for three days or a week. Nobody is going to get a bikini body in three days, nor will they in seven. The glucomannan gel will provide adequate appetite suppression but even customers who buy the seven-day supply via autoship will still only obtain this benefit for six days per week. It will be sacrificed on the seventh day in favour of a detox, making it more tempting to overeat. We have no doubt the product will do most of the things that are claimed, but the average person is going to need to buy an awful lot of boxes before they see a flattening of the belly and this product is too expensive for long-term use. There are other options on the market that can provide better results and cost less to buy. Pretty, pink boxes and celebrity endorsements are all well and good, but if you want the best value for money we suggest you look elsewhere. 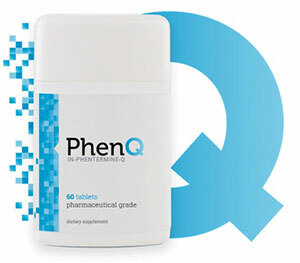 PhenQ is our top pick for 2019 – it is a true multi benefit diet product that can provide weight loss in several ways. PhenQ is available without prescription and direct from the manufacturers website. 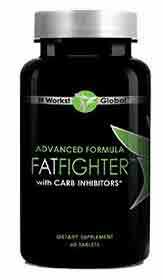 Advanced Formula Fat Fighter is diet tablet brought to market by IT Works. The company sells most of its products via an army of Multi-Level Marketing (MLM) partners who have bought into the IT Works business opportunity and signed up as distributors. We’re not going to get into the pros and cons of this form of pyramid selling but products that are sold in this way don’t normally turn out to be the best. As if often the case with MLM companies, IT Works has plenty of products for its distributors to sell, including energy boosters, health shakes, and detox formulations. Advanced Formula Fat Fighter is designed to “fight” the absorption of dietary fat. It also contains ingredient that have been chosen to inhibit carbohydrate absorption. Any fat or carbohydrate that is not absorbed will not release any calories into the body, but blocker type supplements only limit nutrient absorption, they don’t prevent it entirely and, although IT Works fails to educate their potential customers with the information, even the best nutrient blockers only work if they are used alongside a healthy diet that’s low in dietary fat. The marketing material is at odds with itself from the start because customers are told the product reduces cravings and are then informed it will be okay to indulge their cravings “every once in a while” when they have IT Works Advanced Formula Fat Fighter. Two tablets are required per day and should be taken together up to 60 minutes after the largest meal of the day. IT Works also tell customers to drink at least eight glasses of water each day. Diet pill manufacturer’s and distributors that offer this kind of advice often do so in the hopes that all that water will help fill up the stomach and have an appetite suppressing effect that may make their products seem more powerful than they are. IT Works also points out the tablets are not recommended for pregnant or nursing women or for children. 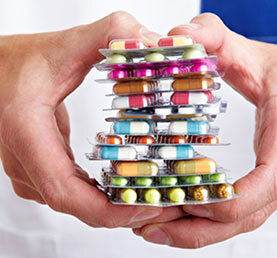 Potential users who have a medical condition, health concern, or are using prescription medication, are told to consult a doctor before using the product. NeOpuntia has been added to provide the promised fat blocking action and it’s a good inclusion because the nopal cactus extract it contains has proven fat blocking abilities. Chromium is an equally good inclusion because it helps prevent the sudden sugar and carb urges that can occur after meals or high calorie snacks. These urges happen when the calories provided by food cause a sudden upswing in blood glucose levels. The pancreas responds to this by releasing insulin to bring blood glucose levels back down. The problem is, insulin often causes blood glucose levels to become so low it triggers a desire for high calorie food (starches and sugar). Chromium’s ability to control blood glucose and insulin has caused it to become a very popular diet pill ingredient. The fact that the rest of the formulation is included as a proprietary blend that accounts for nearly half the tablet volume is a problem. No inclusion rates are provided for any of the ingredients in the blend and there is no way to know how well it will perform. However, White kidney Bean Extract (Phaseolus vulgaris) is a respected carb blocker. Research shows this is because it has the ability to inhibit the function of the digestive enzyme alpha-amylase, which is responsible for breaking down carbohydrate. Garcinia cambogia is good ingredient as well, but the extract used here will be lacking in power because it’s only 50% HCA. The HCA (hydroxycitric acid) provided by the rind of the fruit is an appetite suppressant. It also prevents the formation of new fat cells, but experts say garcinia cambogia extracts must have a potency of at least 60% HCA. Green tea is a proven metabolism booster and fat burner. All of the other ingredients in the proprietary blend are alleged to be able to help provide insulin and blood glucose control in a similar way to chromium, but in most cases further study is needed and the fact that chromium is already present in the blend makes them surplus to requirements. They will only serve to dilute the more valuable ingredients and may even interfere with their abilities. IT Works fail to provide any information about side effects, but people who use fat blockers and continue to eat a lot of food that is high in fat may be rewarded with bouts of diarrhea that are as sudden as they are uncontrollable. Using fat blockers may also lead to vitamin deficiencies because the body can only obtain certain vitamins from dietary fat. This can be rectified by the use of vitamin pills. Buying this product is a tricky business. IT Works prefers customers to buy via one of their MLM distributors and agree to receive an ongoing supply of tablets via autoship (Loyal Customer). Discounts are offered to encourage this. Customers who don’t want to make this commitment appear to have the ability to buy from the site, and checkout as a guest, but great care is needed. The guest checkout page contains some grayed-out and easy-to-miss text that states “You are checking out as a new Loyal Customer”. 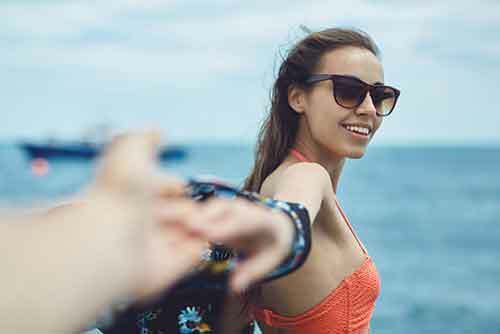 At the time of this reviews, the Better Business Bureau (BBB) had received more than 400 complaints about IT Works and many of them were from customers complaining they were unknowingly signed up for autoship (Loyal Customer). IT Works Advanced Formula Fat Fighter is sold without a money back guarantee. The presence of a nopal-providing ingredient should help the tablets to block fat absorption, but it’s possible there may not be enough white kidney bean to do the same with carbohydrate. 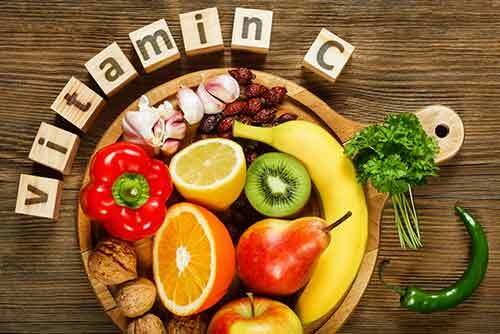 The value of chromium as a craving suppressor has already been explained, but there is a lot of excess baggage in the formulation including a poor quality garcinia cambogia extract and numerous ingredients that have been thrown in to do support the abilities of chromium. They are not needed and their presence could be the thing that is holding the formulation back. Customer reviews do not suggest IT Works Advanced Formula Fat Fighter has much power. That’s not good for a product that does not have a guarantee and the fact that so many customers allege they were caught by shady marketing practices presents further cause for concern. No doubt some users may obtain some level of benefit (with the right diet), but there is no need for anyone to pin their hopes on a product like this when there are so many better options available. Obesity levels are rising all over the world, a lot of people desperately need to lose weight and slimming pill manufacture has become a growth industry in every sense of the word. New slimming pills are being released all the time, but many over-the-counter options don’t work in the way they are supposed to do and the latest prescription weight loss medications are also extremely disappointing. However, some of the new slimming pills that have become available in recent years are very good, so it’s not all doom and gloom for people who are searching for a better way to lose weight. You might be surprised to learn Prescription weight loss drugs are not particularly good. The options available are extremely limited, they don’t work for everyone, and, without exception, all of them are capable of causing many and varied side effects. 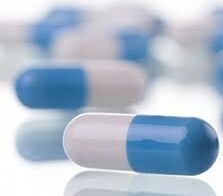 One of the earliest weight loss drugs is called Phentermine. It was first approved for use in 1959 and, to this day, it continues to be available on prescription in many countries of the world. In all honesty, it has helped a lot of people to lose weight, but it not particularly fast-acting or powerful, can be addictive, and is known to cause a lot of nasty side effects. If you ignore the potential for side effects and addiction, Phentermine’s main failing is the way it’s designed to work. The best slimming pills provide multiple benefits. Phentermine is only a hunger suppressant, so the level of support it can offer is very limited. Most of the other prescription slimming pills are also hunger suppressants. The only exception is Xenical. It’s been available as a prescription drug since 1999 and works by blocking the absorption of dietary fats. Unfortunately, that’s the only benefit it offers and the side effects that may result from its use can be extremely unpleasant. Experts in health and nutrition agree slimming pills that offer a combination of benefits offer the best change of success, so you would think the pharmaceutical firms that specialize in producing this kind of medication would develop a weight loss drug that covers all the bases by offering appetite suppression, faster fat burning abilities, improved metabolism, and other benefits. A diet pill such as this would have more to offer than other prescription options. However, only four new slimming pills have been sanctioned for prescription use in recent years (Belviq, Mysimbia, Qsymia, Contrave) and all of them have nothing to offer other than hunger suppression. If they offered weight loss without side effects, they could be seen to be an improvement on Phentermine, but none of them can. Some of the best diet pills were created to compensate for Phentermine’s failings. Phentaslim is probably one of the first diet supplements of this kind and the people who developed it deserve a pat on the back because it’s proved to be more powerful than Phentermine and does not have a reputation for causing side effects. It’s sold with the promise that it will destroy hunger pangs and annihilate body fat. Over 100,000 customers attest to the fact that it does so, but it doesn’t beat Phentermine because of its appetite suppressing effect alone. 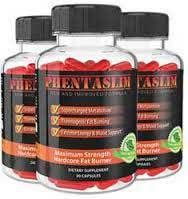 Phentaslim offers other benefits as well, including increased metabolism, faster calorie burning, and improved mental clarity. More recently, in 2015, a revolutionary slimming pill called PhenQ became available to buy online. In less than a year it had such a good reputation for suppressing hunger and burning fat it was the #1 diet pill in the world. 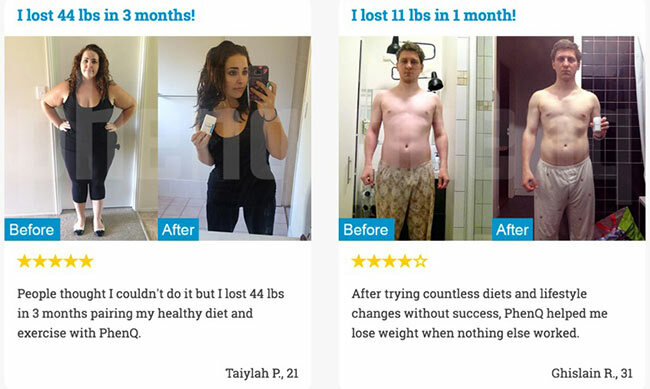 Over 200,000 people have lost weight with PhenQ and the main reason for its success is it’s powered by a formulation of natural ingredients that offers dieters support in so many different ways it’s deemed to have the power of several diet pills rolled into one. Like Phentaslim, PhenQ is a diet pill that has been specifically developed to be a better alternative to Phentermine and provide fast and efficient weight loss without the risk of side effects. The success of Phentaslim and PhenQ begs a very important question. If supplement manufacturers can develop powerful and safe diet pills like these, why aren’t the pharmaceutical companies succeeding in doing the same? The answer to this question is unclear, but it’s probably not worth worrying about because non-prescription diet pills have another very important advantage over their prescription-only counterparts. They come with a money back guarantee. Dieters who are unhappy with a prescription option will have grin and bear it because when a prescription medication fails to work, or becomes to unpleasant to use, the cost involved is just money down the drain.